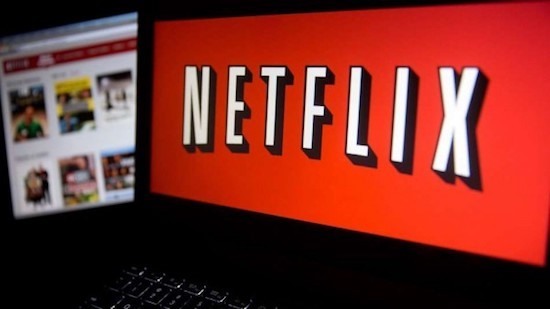 Netflix has been cracking down on VPN’s, Proxy’s, and unblocking DNS. That’s probably why you’ve seen - ‘proxy error’ lately on Netflix. Well, the good news is, you can still unblock Netflix US using Smart DNS Proxy or Smart VPN. It may be a bit more arduous, but still, it’s possible. Before we get into it though, let’s comprehend the problem first and then we’ll dig deep. So, say, I want to watch The Office or Parks and Rec from outside the States. Now, given that I have a Netflix subscription, if I search for ‘the office us’, it shows no results. Meaning it’s unavailable in my country. The next obvious thing to get over geo-restrictions is by changing your country to that of America where the shows are available. So, most likely you do a Google search, find a free VPN and install one from one of the top result. Pretty standard stuff. Which is true. So, why does it happen and what can you do to fix that? Well, all Netflix has to do is track a user’s IP address. If Netflix sees a large number of users with accounts from all over the world seem to be connecting with the same IP addresses (which will the free VPN you are using). Those IP addresses can then be blacklisted and you can get the proxy error message. Yes, the free VPN service can switch to a new IP address, which Netflix will notice again and block again. In other words - Netflix doesn’t exactly know whether you are using a VPN or not, instead it just blocks IP addresses it knows are shared among many people. So, to remove Netflix proxy error, avoid using the free ones and start using the paid ones because those are the ones that actually work. We recommend using Smart DNS Proxy. Head over to Smart DNS Proxy.com and sign up for a 14-day free trial. To set it up, you can follow the instruction on the website, or watch our other videos, we have a setup guide for all platforms. If you are already a paid Smart DNS Proxy subscriber, you can also use Smart DNS Proxy VPN, which is what we ‘ll do in this video. So, download the VPN app, (it’s also on Android and iOS, by the way), and select the country closest to your physical location. We also prefer the Smart VPN server over the regular ones. What’s the Smart VPN, you ask? Well, we’ll come to that slater on. Now, head over to Netflix. If I search for “The Office”, the thumbnail appears, let’s see if it plays now. And there you go, it works perfectly fine. In our experience, servers from the UK or Netherlands work well with Smart VPN as they’re less crowded. And it’s just Netflix, with Smart VPN you can unblock streaming services from any country without even changing the server. For example, if you wish to see the BBC iPlayer, you can just open it in a new tab. How awesome is that? See, this is how you remove the Netflix proxy error. You can even do it on the go with Smart VPN, that way you can watch it on the plane, on the bus, in the car, or on the bar. Thanks for reading and watching. Subscribe to our channel and see you in the next one.